Bus. Photo courtesy of MCTS. 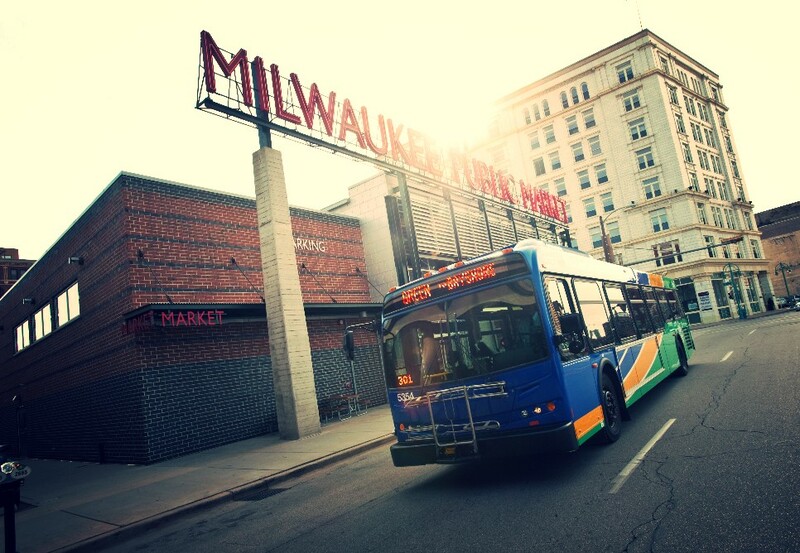 Negotiations are breaking down between the Amalgamated Transit Union 998 and the Milwaukee County Transit System. The key issue in the contract showdown is healthcare. The union, at this point, refuses to make concessions on healthcare and increase their co-pay. Meanwhile, MCTS is pushing this point as a fiscal issue, and has said MCTS would cut routes if it doesn’t get the union membership to increase their insurance contributions. In late March MCTS offered arbitration on the health care proposal to the ATU. The union refused. Earlier that month, union president James Macon told Urban Milwaukee he expected an offer of arbitration and that he had no plans to accept it unless MCTS was willing to send the entire contract to arbitration. Now, with the stalemate over healthcare, the union sees the offering of arbitration as an attempt by MCTS to extract a concession on wages in order for the union to preserve its healthcare. At the a meeting of the Transportation, Public Works & Transit Committee Wednesday both sides hurled barbs, each accusing the other of negotiating in bad faith. Beohm also questioned Macon’s true leadership of the union, saying Macon may be taking orders from leadership of the international union. A point Macon roundly denied. Javier Perez Jr., international executive vice president for ATU, echoed Macon, telling the committee that membership is in charge of the 998. Macon and members of his union have long held that management at MCTS has been deceitful throughout the negotiation process. “I shoulda walked a long time ago and my members asked me to walk,” Macon said, adding that he declined because of the effect a strike would have on the public. “We kept the buses running and tried to negotiate. Boehm said he and members of his management team want the best for the workers, a statement he could hardly get through without a chorus of “Lies” being issued from the union seated in the gallery. The stalemate over healthcare has added more negativity to the already deteriorating union-management relationship; the union’s trust in management has been deteriorating for a while because of issues like safety on the buses. This conflict was exacerbated by the recent firing of Shemurath Green, a bus operator who was physically assaulted and fired for her own role in the physical altercation. Also weighing on union trust is the sick leave policy of MCTS, which requires employees to get a note from a doctor explaining their illness before they can return to work. Macon said some workers have gone to the emergency room to get a note from a doctor so they can return to work. With trust at such a tenuous point, the union feels arbitration would paint them into a corner and potentially force a concession on wages. Macon said he started negotiations from the position that the salaries accepted by the union were predicated on nothing important, like healthcare, changing. Michael Brown, a member of the ATU executive board, said MCTS has refused arbitration in the past when it would have provided leverage for the union, so the union is doing the same now. Raisa Koltun, from the office of the County Executive Chris Abele, said they hoped the union would accept the offer of arbitration.